Creepy Ghost Stories - Real Stories of the Paranormal | The Salem Witch Trials, Massachusetts. 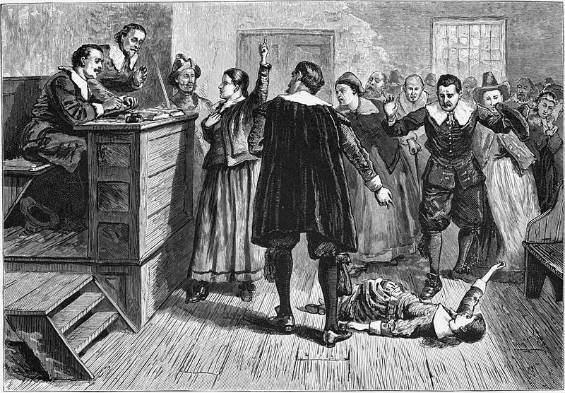 The Salem Witch Trials, Massachusetts. The year 1692 saw Devil possession. Witchcraft. Curses and Murder in the small village of Salem. Centuries on and now this town also has the GHOSTS of the past to contend with. 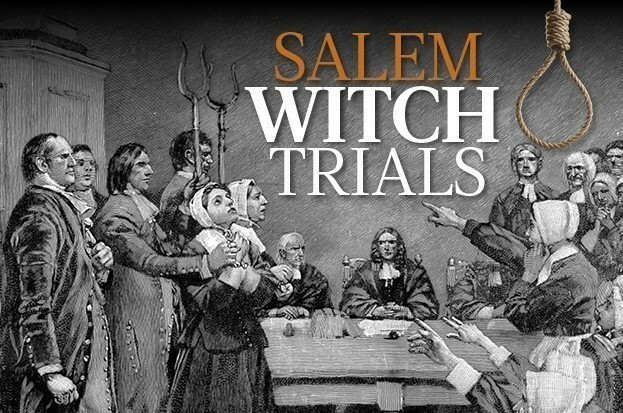 Brief history of the Salem Witch Trials. 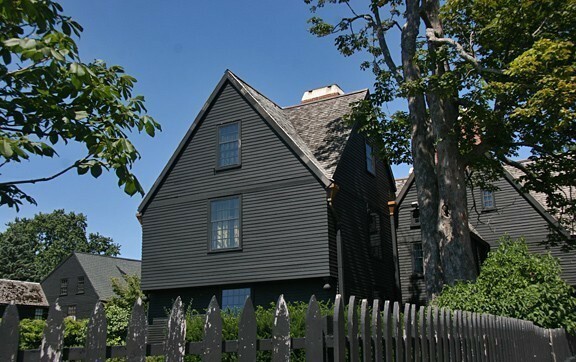 Panic and fear flooded through Salem Village, Massachusetts in the spring of 1692 when a group of young girls claimed that they had been possessed by the devil and had the ability to seek out witches. One of these ladies was a slave named “Tituba” She was owned by Reverend Samuel Parris. After his 9 year old daughter Betty and his 11 year old niece Abigail started behaving oddly and started having fits he called in his doctor, to which he diagnosed that the girls were under the influence of witchcraft, and Tituba was the ”black Salem witch” responsible. She was the only one to survive.this horrific ordeal but only because the judges needed her wisdom on the matter. It was believed that the devil would give mortal humans magical but evil powers to cause harm and death to innocent people. These were known as witches. A special court was quickly assembled and the first witch trials were had in the June. 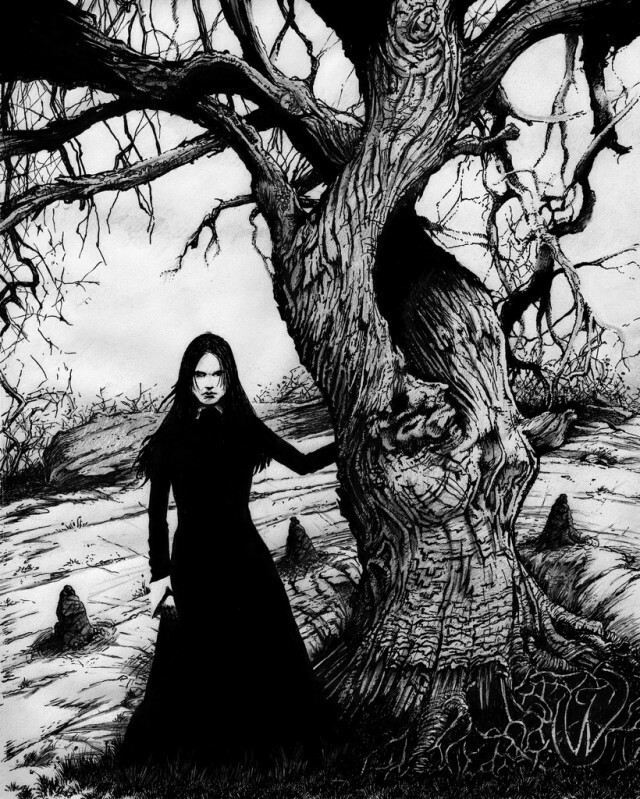 Bridget Bishop was the first person to be found guilty of witchcraft and was immediately sent to her death by hanging at Salem’s Gallow Hill. 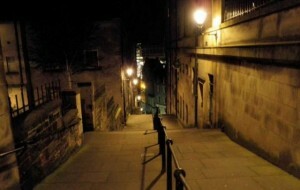 A further 18 witches soon followed Bridget to there deaths at Salem’s Gallows. As the summer went on hundreds more of witches, including men and children were found guilty of witchcraft. Some came to there death by hanging, and some died as they were left to rot in jail, but most lost their lives by being burnt at the steak. But there was an exception to one. Giles Corey was accused of being a warlock and he actually pleaded guilty, but then changed his plea to innocence. 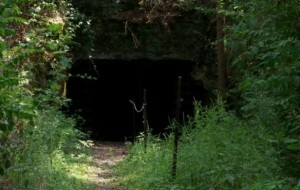 In order to get Giles to plea the guilty verdict again, the local sheriff and his merry men dug a big hole in the cemetery, stripped Giles of his clothes and laid him in the cold dark ground naked, then they placed a heavy piece of wood that covered his whole body and heavy rocks were laid upon that. With everyday that passed and with Giles still not pleading either way, more heavy rocks were added until eventually Giles was crushed to death by “stoning”.. Now that's a lot for anyone to take, but especially for an 80 year old man. By the end of the summer the hunt for witches was coming to an end and the murderers were seized. But in this small and very religious village of Salem the short lived, but the gruesome murders of the innocent had left a bitter after taste, along with some of the lost of souls who were wrongly murdered. 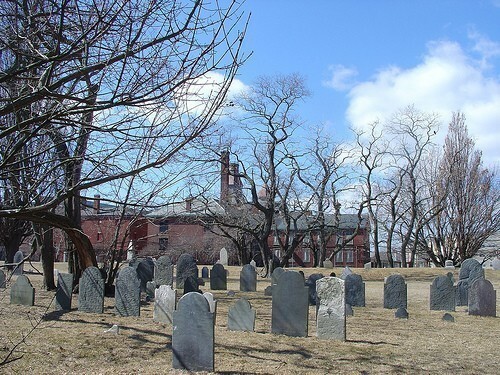 Hauntings from the Salem Witch Trials. 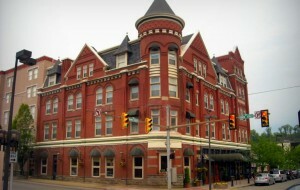 Built in 1925 and named after their very own Salem author “Nathaniel Hawthorne” is this very stunning and old hotel. Still to this day it’s interior boats of the old but stylish times. Unfortunately or fortunately, depending on how you look at it, the hotel was build on the land that Bridget Bishop, the first accused and killed witch of Salem owned. It seems that Bridget has taken up residency in the hotel. There are many reports of a sweet smell of apples that drifts through the hotel, that comes from nowhere. Bridget grew apples when she was alive. Other weird smells are also smelt by guests and staff and unexplained noises are often heard and weird mists appear from nowhere. In room #325 many people report of being touched by “no one” along with hearing the cries of a baby, and if that wasn’t enough to make you want to change rooms, then maybe witnessing the taps turning on by themselves will. Room #612 is just as creepy so maybe not change to this room as there is already a guest in here. 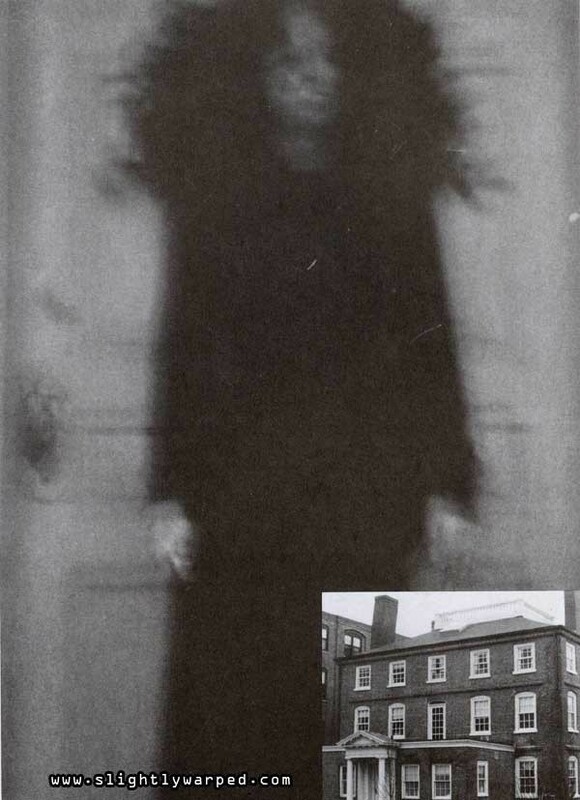 A ghost of a lady is seen in the suite looking at you, and she also likes to hover around the outside by the door as well as wandering the corridor. Now the local playing fields of Salem, where schools come for their sporting activities and the local park for the youngsters of Salem. But once, the place where 19 of the accused witches come to their death through hanging. All 19 of these witches were later found innocent of any witchcraft, maybe that's why the land is a paranormal hot spot. Many people have caught light orbs on their camera and video recordings. Creepy mists appear from nowhere and then just vanish like a puff of smoke as well as weird unexplained noises that can be heard when no one else is there. Some claim that they have even seen a ghostly figure wandering aimlessly over the fields. This old Jail house building was built back in 1813 and was build right next door to the Howard Street Cemetery. 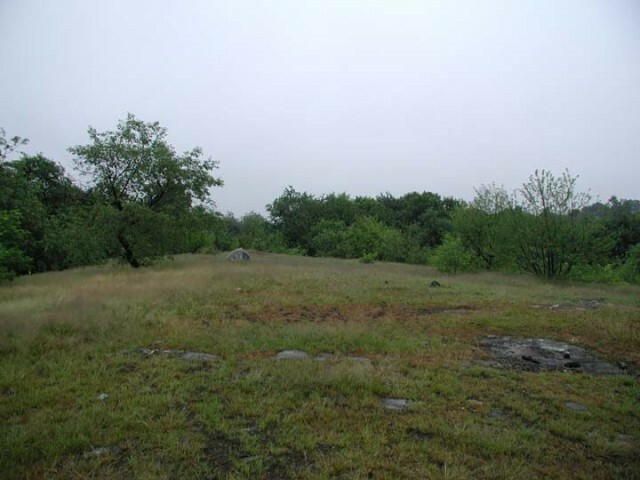 The very place where Giles Corey was stoned to death. 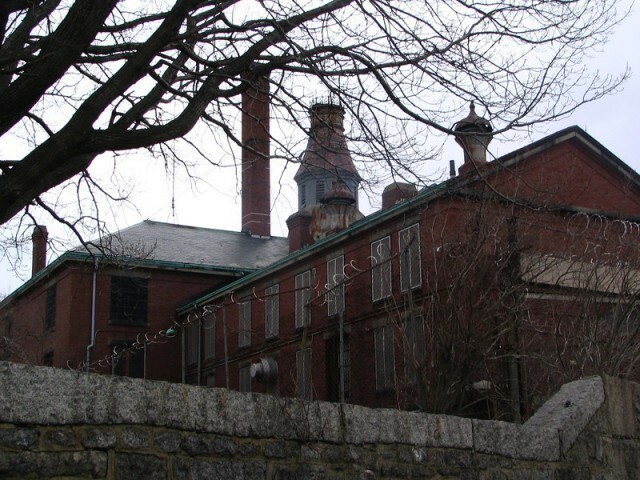 Salem jail housed the famous “Houdini” who escaped, and the notorious Boston Strangler (Albert DeSalvo) The conditions in the jail were disgusting, so much so that some of the inmates managed to sue the County for poor living conditions, and a few years later the jail was ordered to close, where it remained abandoned for many years. 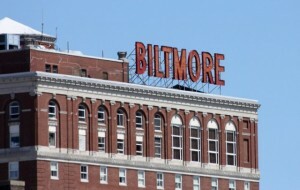 Now tho, this old haunted building was transformed into luxury apartments for the residents of Salem. Even a restaurant was built here off the jail wing, and the old jail bars remain in their original place as a decorative piece of history, history that is in this place morbid and gloom. 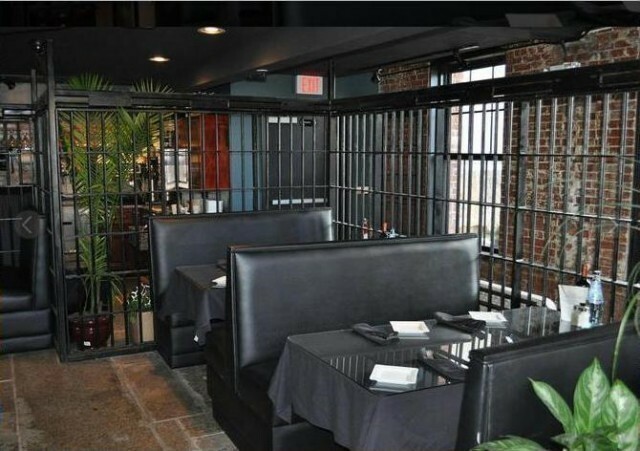 Above the restaurant with the original Salem Jail prison bars. Many of the inmates died behind the bars in Salem Jail and these lost souls never moved on. It’s reported that you can hear the screams of the inmates oozing through the walls as you walk through the building and and orbs of the ghosts are seen to shimmy through the corridors and the sound of rattling chains is heard by many. 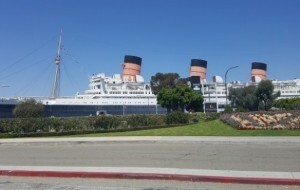 But the uneasy feeling that you get as you enter is really creepy that some didn’t live there very long. As you wander through Howard Street Cemetery you will see the Salem Jail looking back at you, a nice haunted backdrop to get the hairs on the back of your neck to stand up. But you don’t need to look at that to get the creeps. 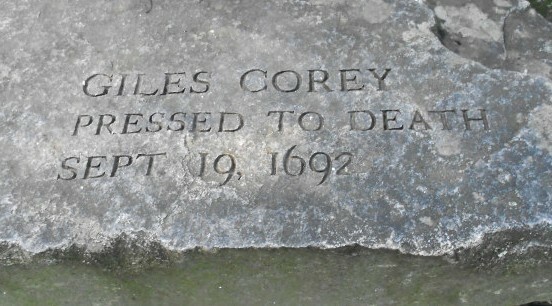 According to old folk tales, Giles Corey laid a curse on the sheriffs on Salem as he was been being crushed to death, and it appears that his curse is real. Many of the towns sheriffs over the years have reported to being woken in the middle of the night with a heavy sensation upon there chest, as if being crushed. Others have had to remove themselves from the office after having heart palpitations and some have even died after suffering major heart attacks, when there otherwise fit and healthy. 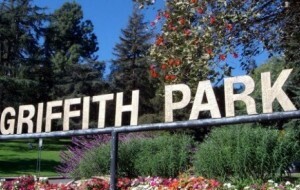 The cemetery itself is described to feel sad and somber, with an air of creepiness around you. Some people report of getting sudden headaches, which soon disappear when they exit the grounds. 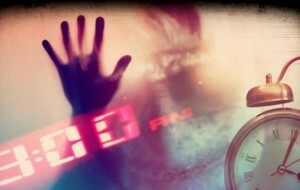 Some even experience dizziness and a heavy heart. Giles himself has been reported to have made an appearance on a few occasions. His ghostly apparition is reported to just be standing still just looking at you. 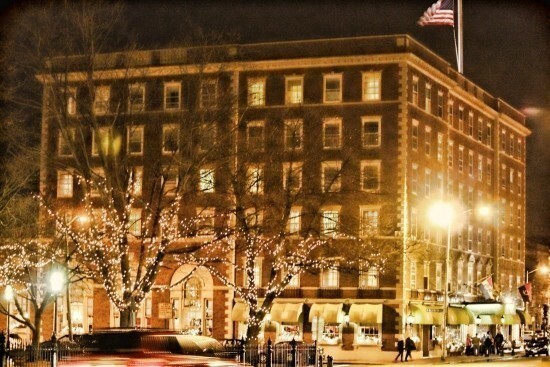 Probably one of the of the most haunted places in Salem, and no doubt one of the creepiest. 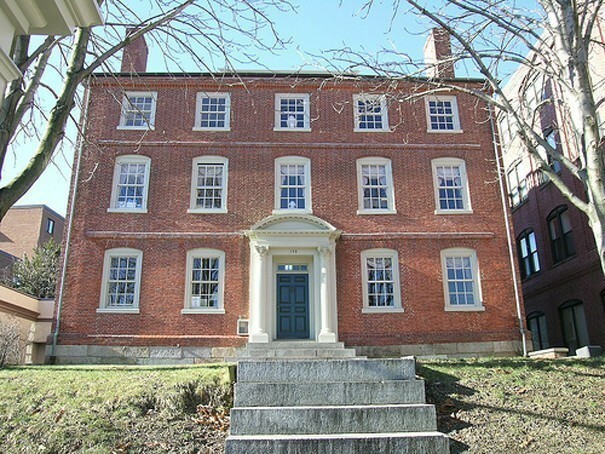 Joshua Ward House sits right on the exact spot where the murderous and most feared Sheriff of the witch trials once lived. 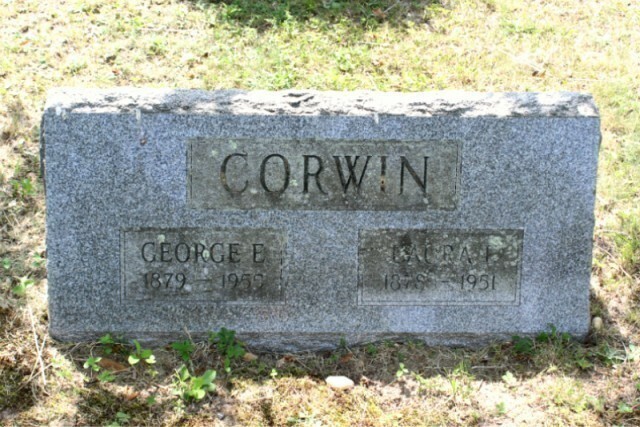 Sheriff George Corwin, by his own hand tortured and killed many of the accused and had a sadistic way to get them to plead guilty to witchcraft. He would tie the ankles and continue all the way to the neck so tight that blood would gush from the victim noses. After his death of a heart attack no less, in 1797 his family feared for his body that they buried him deep in the family basement so the angry public of Salem couldn’t get there hands on him. Eventually after many years his body was dug up and moved to a nearby cemetery, Broad Street Cemetery. And A new building, Joshua Ward House was erected. Years on and Sheriff George, who is also now know as “The strangler” is still up to his sadist ways, but he also has two fellow ghosts to compete with. The reporting of people claiming that they have been strangled by invisible hands is huge and has been going on for many years, many say this is the handy work of the Sheriff. However the another ghost who is often reported here keeps his hands to himself but does like to kick over the rubbish and generally make a mess of the house by throwing books and other objects around. 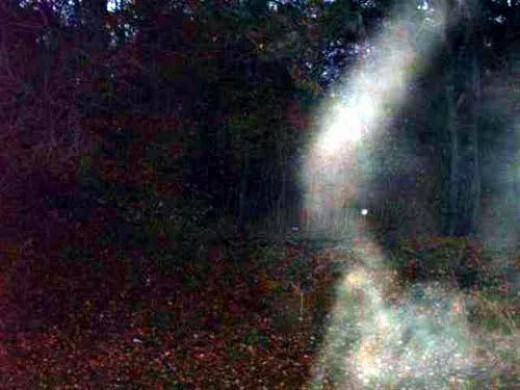 Above is an actual photo of a spirit who was caught on camera when a realtor was taking photos of the property. 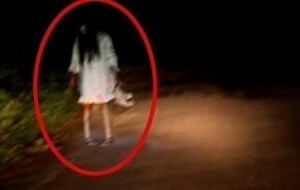 She’s seen in the hallway of the property with a mass of dark hair. She is believed to be one of the falsely accused witches of the witch trials that was killed by Sheriff “The Strangler” George. The House Of Seven Gables. Some will know of “The House With Seven Gables” as a book written by Nathaniel Hawthorne, who was the cousin of Susan Ingersoll. 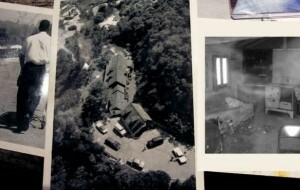 Susan lived in the house since she was a girl and died there at the age of 72. Nathaniel was son to John Hathorne, who was one of the three judges in the Salem witch trials. Nathaniel was so ashamed of his father and all that he did that he added the “W” to his surname to distance himself from the heritage of the Hathorne name. As a boy and throughout his life he often visited Susan at the house and decided to write a book of his experiences here. 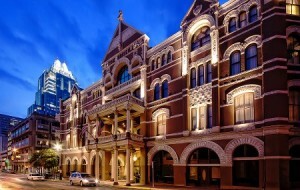 People come all over to visit this historic museum for it’s history and many come for it’s ghosts to. No photographs are allowed to be taken inside the wooden building so no one has ever been able to capture a picture of one of the ghosts here, but that doesn't mean that they haven't been seen and in fact you don’t even need to step foot into the house to see a ghost. Many people say that as they walk past the property they often see a glimpse of a lady ghosts looking out of one the windows. Inside the house employees and visitors all claim to have seen the ghost of Susan walking up and down the corridors in a ghostly haze and that of a small boy spirit is seen in the attic playing with his toys. 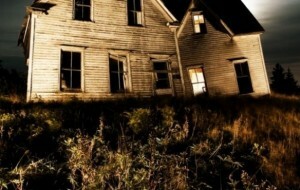 Strange noises of banging and dragging are heard from the attic area, as well as the taps turning on by themselves. 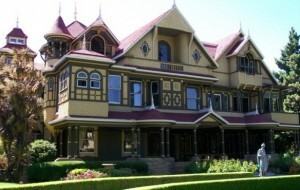 Other reports are of a general feeling of uneasiness as you tour the house. The Old Burying Point Cemetery. 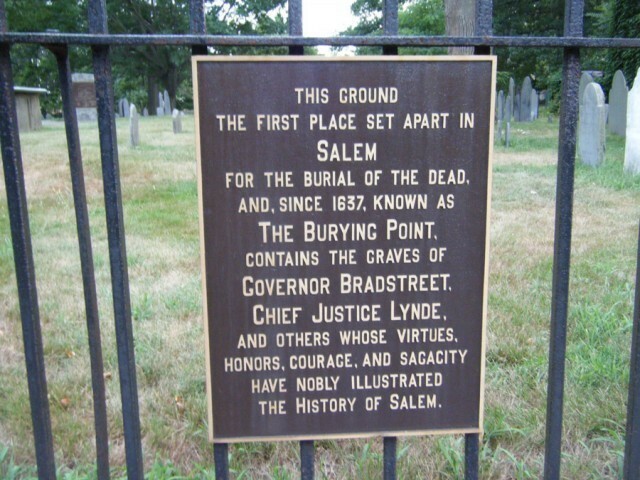 Although none of the murder victims from the witch trials are buried here, the head judge of the trial hangings is. John Hathorne and along with the rest of his family are here with the exception of National of course. But that doesn’t mean that the spirit of the witches don’t come here. The cemetery itself is actually very pretty and very well kept and has the most lovely old gravestones but it still oozes that creepy sensation as you walk into it. There have been reports of eerie shadows that have been seen there one minute but gone the next and unexplained whispers in the silent air. Many people have caught light orbs and even a ghostly apparition itself on camera.